Financial Rhythm is a site for business owners who care about money. It’s for people excited about creating financial health, wealth, and freedom in their business. Discover a simple 3-Part Plan you can implement today. Register at No Cost to grab it now. Knowing what’s going on financially in your business is like having a financial superpower. It helps you make better business decisions. It helps you drive profitability and cash flow to the levels that you expect. It helps you avoid the pain and suffering that poor financial performance will bring into your life. What’s about to happen (in the coming months)? A well-designed monthly reporting package (with easy-to-understand historical financial statements and insight about results vs. targets) will help you answer the first question. A reliable financial forecast will help you answer the second question. It will tell you instantly if your company is on track to achieve your financial goals or if you need to intervene in a specific area of the business. What really happened (over the last few months)? What’s likely to happen (over the next few months)? These questions help introduce reality into the equation. They force you to dig a little deeper to understand what is really happening below the surface of the financial statements. They help me get to the real insights about the business that I share with the owner or CEO. It’s an honest, truth-seeking exercise. It is driven by the desire to close the gap between what management thinks is going on vs. a reality-based view of what is really happening. That is what you want from a seasoned CFO. Insight, reality, and a burning desire to help you understand what is really going on in your business from a financial perspective is how a strategically focused CFO adds value. Take a minute to consider whether you know what’s really going on financially in your business. The answer will pay big dividends. Philip Campbell is a CPA, financial consultant, and author of the book A Quick Start Guide to Financial Forecasting: Discover the Secret to Driving Growth, Profitability, and Cash Flow and the book Never Run Out of Cash: The 10 Cash Flow Rules You Can’t Afford to Ignore. He is also the author of a number of online courses including Understanding Your Cash Flow – In Less Than 10 Minutes. His books, articles, blog and online courses provide an easy-to-understand, step-by-step guide for entrepreneurs and business owners who want to create financial health, wealth, and freedom in business. Philip’s 30 year career includes the acquisition or sale of 33 companies (and counting) and an IPO on the New York Stock Exchange. This book provides a straightforward, easy-to-understand guide to one of the most powerful financial tools in business: a reliable financial forecast. It will transform the financial future of your company and help you make better, faster, smarter financial decisions. Too many entrepreneurs and CEOs today are feeling more like passengers than drivers in their business. They’re staring at their rearview mirror as they bounce along in the passenger seat. Their company is careening along on the highway of business as they wonder and worry about where their business might end up financially. A reliable financial forecast solves this problem by providing a clear view through the financial windshield of your business. It creates the visibility and clarity you need to drive your company toward a bigger and brighter financial future. What’s about to happen to my profitability and cash flow? How much cash can we distribute to the owners of the business? How long will it take to pay off our debt? What will our taxable income be this year? A reliable financial forecast puts the answers to these questions at your fingertips. It helps you take control of your profitability and cash flow because it gives you answers to the most important financial questions you have to deal with every day. Put yourself in the driver’s seat of your business by tapping into the unique and exciting benefits that financial forecasting can unlock for you. Buy the hardcover at Amazon. Buy the Kindle version at Amazon. Buy the book at Barnes & Noble. Buy the book at Bookmasters. Buy the book at Google Play. If you already own the book, the free tools and downloads are waiting for you. Click here to access the financial spreadsheets, examples, rapid learning guides, and more. The purpose of this book is to give you a straightforward, easy-to-implement guide to using one of the most powerful financial tools in business: a reliable financial forecast. Your complimentary Membership gets you instant access to free resources including my Free Report: A 3-Part Plan to Breathe Financial Life Back Into Your Business and lots of additional free resources. 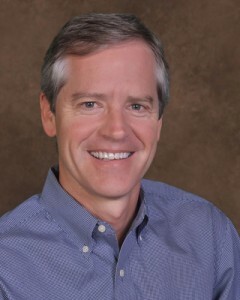 Philip Campbell is a CPA, financial officer, and author. He has been involved in the acquisition or sale of 33 companies (and counting) and an IPO on the New York Stock Exchange. But what really sets Philip apart from others is his passion for helping business owners improve profitability and cash flow and attract the capital they need to survive and thrive in business. How Wide is the Moat Around Your Business? Does Your Business Generate Excess Cash? Is Money Important to You? What Is Your Business Decision “Batting Average”? There are two things that are very unique and exciting about this online course. 2. I’ll show you how to explain what happened to your cash last month to your business partner or banker (or maybe even your spouse) in a 2-minute conversation. I take off my CPA hat and speak in the language every business owner can relate to. No jargon. No stuffy financial rambling. Just a simple, common sense approach that only takes 10 minutes a month. 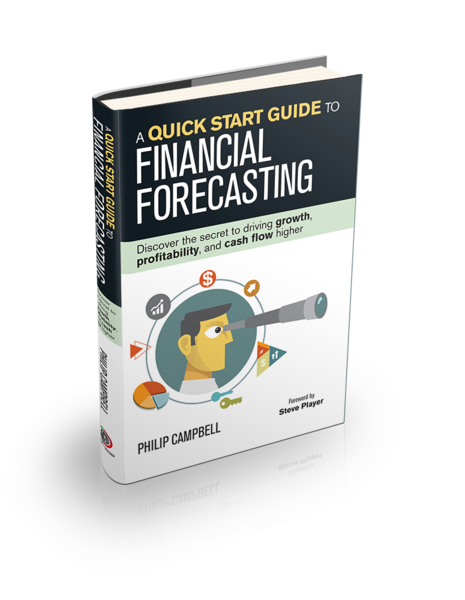 Philip Campbell is the founder of Financial Rhythm and is the author of the book A Quick Start Guide to Financial Forecasting: Discover the Secret to Driving Growth, Profitability, and Cash Flow Higher. He is also the author of the book Never Run Out of Cash: The 10 Cash Flow Rules You Can't Afford to Ignore. Philip's 30-year career includes the acquisition or sale of 33 companies and an IPO on the New York Stock Exchange. Early on in his business career Philip focused and “preached” so much about the importance of profitability and cash flow that people now call him CASH. Understanding and managing your cash flow used to be a time-consuming, complicated, and frustrating task. Not anymore! I have created a unique online course that makes understanding your cash flow SIMPLE and FAST! 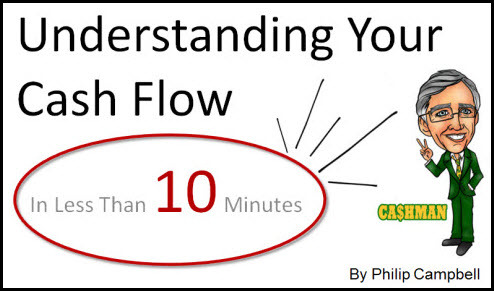 It's titled Understanding Your Cash Flow - In Less Than 10 Minutes. And it comes with a 100%, no questions asked, money back guarantee.